After battling leaf rust on his coffee farm in Honduras, Oscar Ramirez won 2017's Cup of Excellence competition and broke records for Honduras's coffee sector after applying best practices he learned from TechnoServe's MAS program. Oscar Ramirez won the Cup of Excellence award for his coffee, grown at 1,400 meters above sea level in El Paraíso, Honduras. Photo: Alliance for Coffee Excellence. As he shook hands with the President of Honduras, Oscar Daniel Ramirez Valerio’s heartbeat nearly drowned out the applause. His coffee had won this year’s Cup of Excellence competition. “It is actually a dream come true, I am pretty sure every coffee producer wants this. It can’t be explained with words,” Oscar told the Alliance for Coffee Excellence, who runs the prestigious internationally juried competition in 12 countries. Oscar’s coffee, grown on a 10-hectare farm he runs with his wife and sons in the country’s El Paraiso region, took first place and broke the record for highest price ever earned by a Cup of Excellence winner in any country, selling at $124.50 per pound to a renowned Japanese roaster. The road to this achievement took generations. Oscar’s father gave him half a hectare to start a coffee farm, and Oscar gradually bought more land. 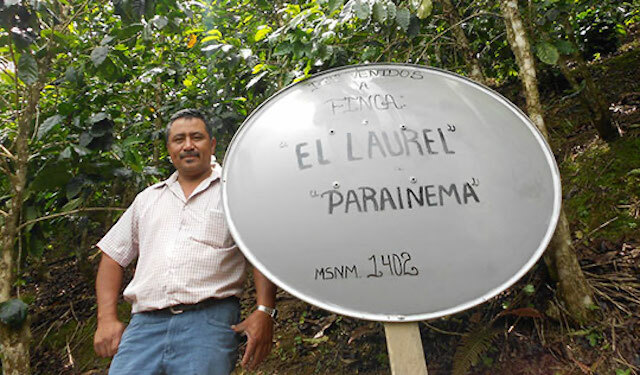 In recent years, he and his wife battled the leaf rust epidemic that swept through coffee farming regions in Central America, but managed to revive the farm and significantly improve the quality of their coffee – thanks in large part to improved production practices they learned through TechnoServe’s Sustainable Agricultural Improvement project, or MAS in Spanish. Helmer Cortes, a cupper jointly employed by the MAS project and Molinos de Honduras, tests the quality and taste of coffee that Molinos de Honduras sources from MAS farmers in the Comayagua region. 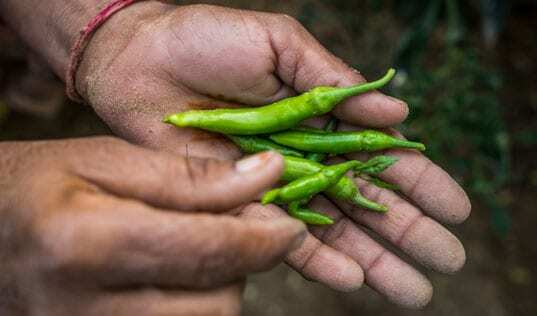 Oscar was one of nearly 27,000 farmers trained in good agricultural practices under MAS, a five-year project that ended in 2017 and was funded by the U.S. Department of Agriculture’s (USDA’s) Food for Progress program. TechnoServe exceeded all targets in implementing MAS, helping Honduran coffee and bean farmers realize sustainable income gains by increasing their productivity and establishing linkages with formal markets. Oscar’s farm, El Laurel, is located at an altitude of 1,400 meters above sea level in the remote community of Las Delicias in El Paraiso – one of five Honduran departments where MAS was implemented. 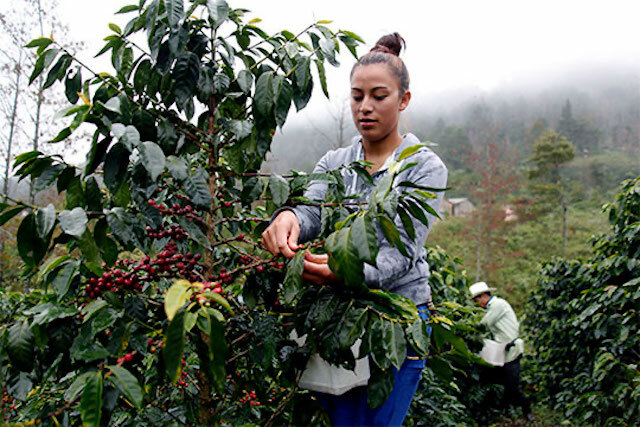 (Altogether, the project’s scope covered 60 percent of Honduras’s coffee growing regions.) Previously, the farmers in Las Delicias community used the dry method for processing their coffee, without paying much attention to quality control, resulting in low farm-gate prices. MAS established a field school in Las Delicias to provide farmers with agronomic training that would increase the quantity and quality of their coffee harvest. TechnoServe worked with Superacion Rural Saving Bank, the producer organization to which Oscar belongs, to not only increase yields, but also to improve their wet milling operation – a key factor in enhancing coffee quality. Using the sustainable agriculture practices they learned through TechnoServe’s adult learning methodology, coffee farmers participating in MAS increased yields by an average of 64 percent. MAS’s inclusive value chain approach sought to align the interests of farmers, financial institutions, input providers, and buyers. In order for farmers to earn favorable prices for the higher quality coffee, TechnoServe brokered marketing agreements between 325 producer organizations, including Oscar’s Superacion Rural Bank, and buyers like Molinos de Honduras, a large coffee exporter that is the local affiliate of Volcafe, a global specialty coffee company. Using the sustainable agriculture practices they learned through TechnoServe’s adult learning methodology, coffee farmers participating in MAS increased yields by an average of 64 percent. Volcafe worked hand in hand with the MAS team to promote high-quality production on the farm and ensure efficient commercial channels for the sale and export of that coffee. In Las Delicias, Volcafe had a hand in Oscar’s high-scoring coffee at the Cup of Excellence. 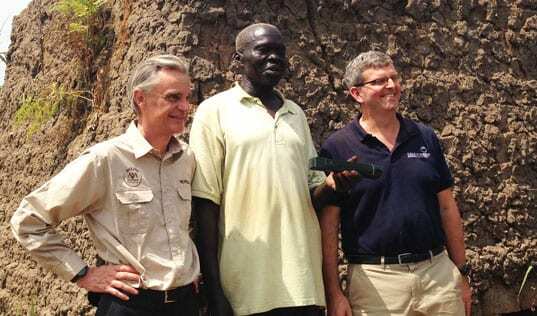 The exporter had helped TechnoServe establish solar dryers to improve the quality of the community’s washed coffee. From the beginning, the project’s partnership with Volcafe focused on ensuring sustainable commercialization. In fact, following the project’s completion, the company signed several five-year agreements to purchase coffee from MAS farmers, indicating that its relationship with producer organizations continues to grow and flourish. The MAS project not only focused on increasing coffee production but on improving coffee quality as well, helping farmers to increase their incomes even further. TechnoServe and USDA share Oscar’s goals, seeking to help coffee farmers across Honduras “produce more and better coffee.” Building on the achievements of MAS, the partners are teaming up on a new five-year program, MAS+, to work with 32,000 smallholder coffee and bean farmers in 10 Honduran departments. 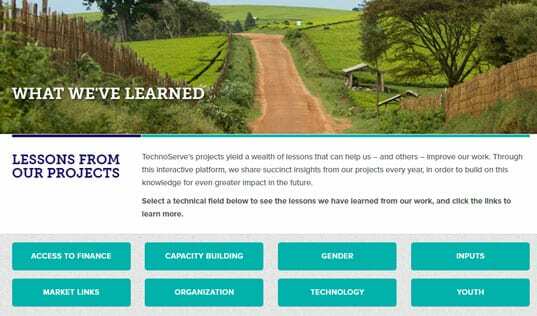 TechnoServe will expand the comprehensive curriculum from MAS to train low-elevation farmers on diversifying into horticulture through perennial fruit tree crops, further fortifying their resilience to extreme climate events and other shocks. Expanding the sustainability agenda from the first program, MAS+ will gradually hand over implementation to local public and private sector actors, including Volcafe/ Molinos de Honduras, to ensure long-term inclusive growth in these value chains after the project ends.